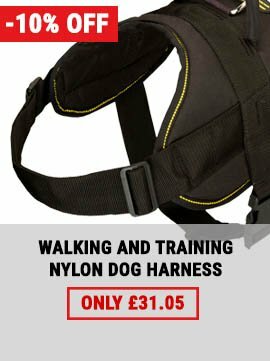 This extra firm nylon dog collar with a strong handle and a solid quick release buckle is a very convenient and practical gear for young and full of life Staffies. 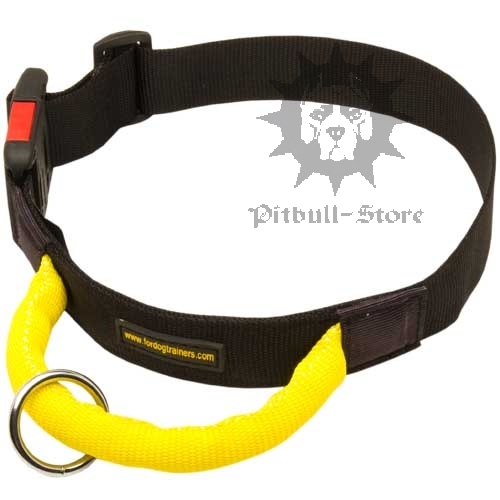 This model of Staffordshire Bull Terrier collars has a wide range of applications. 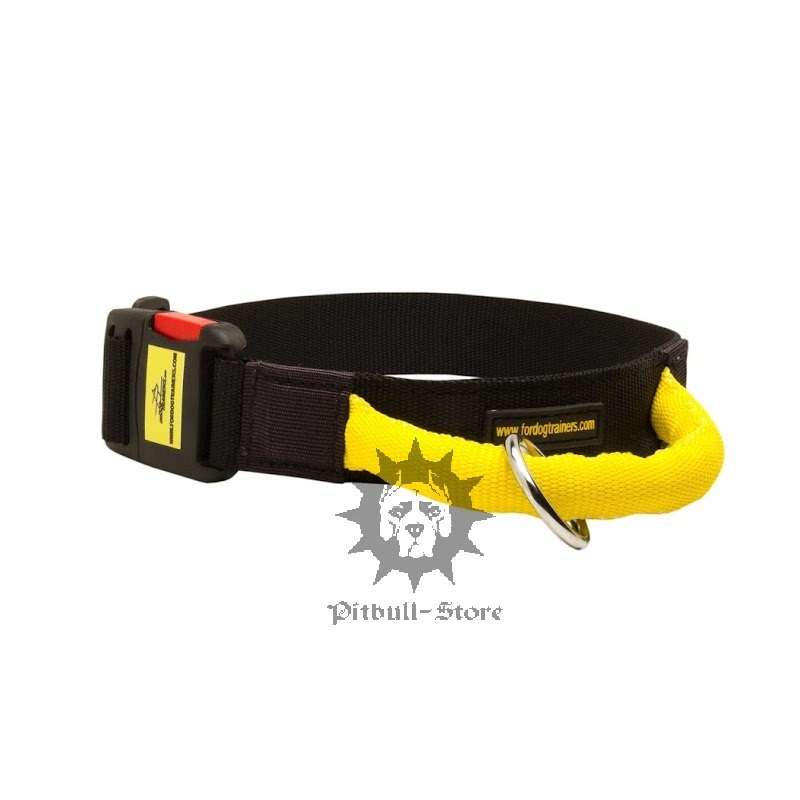 You can use our quick release dog collar for training, walking, police/military service. Moreover, it suits any weather conditions and it is easily washed and cleaned. 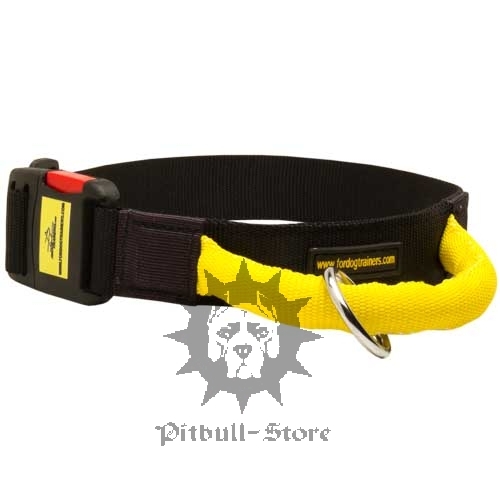 Quick-detachable buckle provides fast and convenient use of the nylon dog collar. 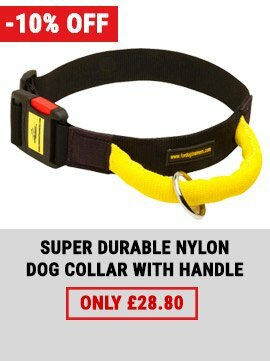 And due to a firm handle, which is pleasant to touch, you can walk with your pet wearing this type of Staffordshire Bull Terrier collars along busy streets and always take it under reliable control. 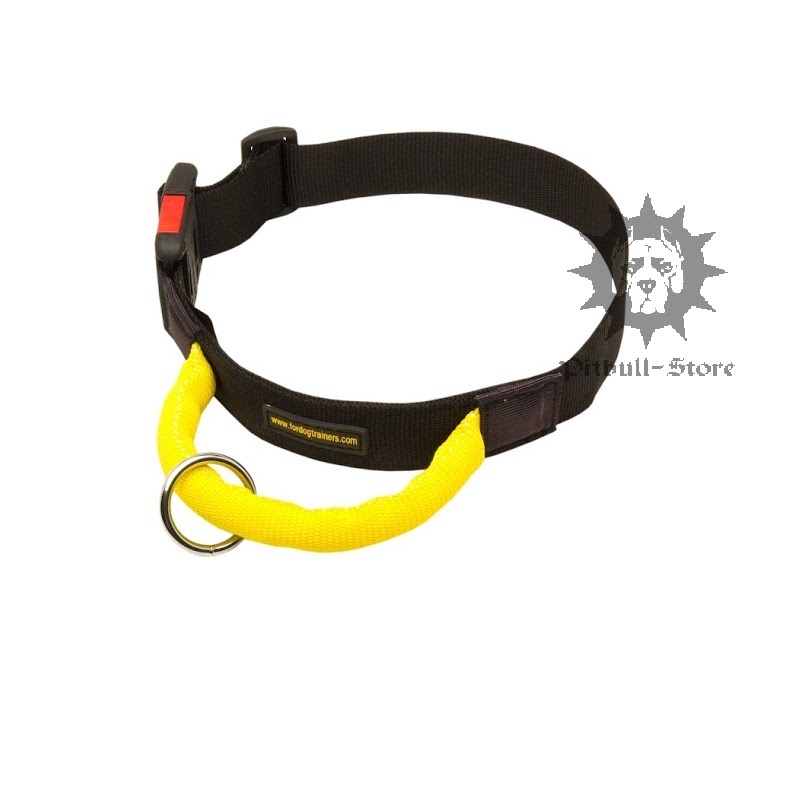 You can also regulate the size of this quick release dog collar. In addition, welded O-ring the collar is equipped with will not bend or break under extreme K9 training. 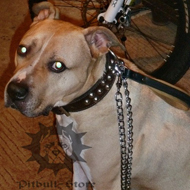 You are welcome to see our gret collection of Staffy Chain Collars for professional training of this dog breed. 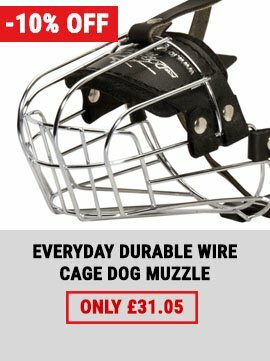 And if you need a personalized Staffordshire muzzle, then see our Stafford Bull Terrier Muzzles.